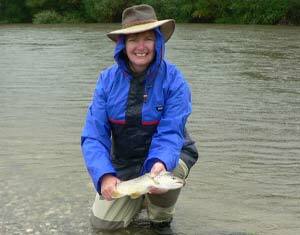 Having never fly fished any New Zealand waters before, and certainly nothing that compared with the rivers of the South Island, Marie and I found Michaels guidance and assistance invaluable. 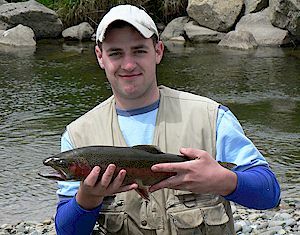 He is a personable young bloke with an intimate knowledge of the Southland area around Gore. 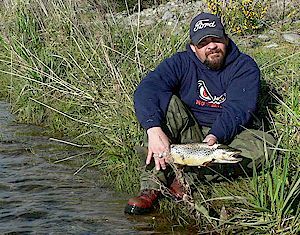 He was able to put us onto fish where we would have otherwise not been successful, he was continually focused on ensuring that we got the best out of our fishing time. 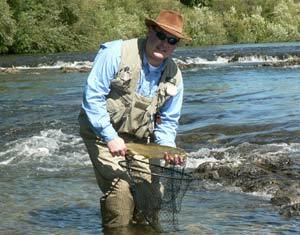 He was more than willing to give us advice on stream craft, flies and methods that would assist us during our holiday. 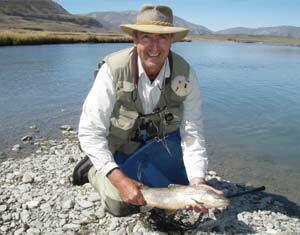 I have no doubt, given the opportunity we would be more than happy to fish with Michael again. 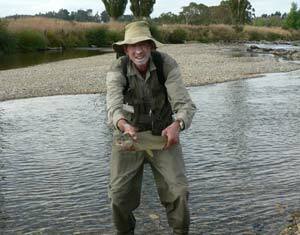 Kevin & Marie Bennett Lemon Tree Passage , NSW"
Thanks to Fly Fish the South for a great day on the Mataura. 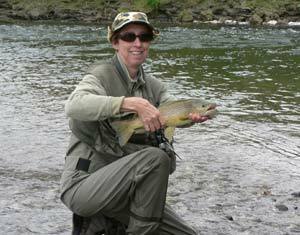 My guide Michael took me to his secret spots and put me on to some big browns. 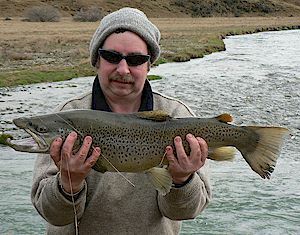 He's the master of spotting trout in the shallows and directing your casts right on top of them. Thanks again for a great trip! See you next time I make it down from Nashville, the Country Music Capital of the World, to Gore, the Country Music Capital of the South Island! 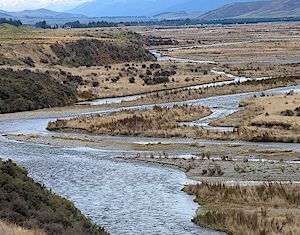 Michael, Many thanks for introducing me to the Mataura River on what was my first visit to NZ. 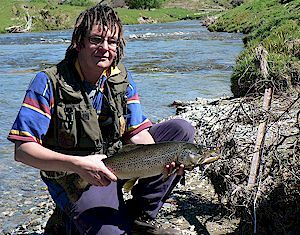 Your knowledge of the water and where to fish under the days conditions were a definite advantage and I'd be keen to hook up with you again when I'm next in the South Island. 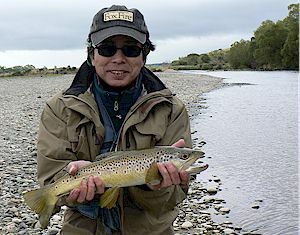 Michael Vetters is the man to call for a memorable fishing trip in New Zealand. 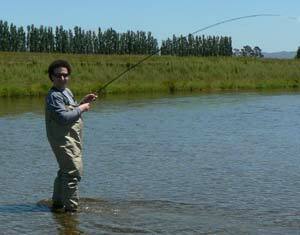 Michael is a complete provider for a total sport fishing experience. Contact him when you're in New Zealand; it'll be an event of your lifetime! 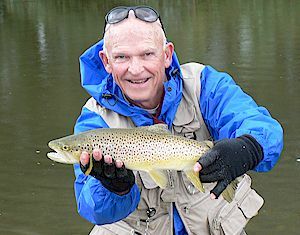 The Brown Trout Capital of the World!